Hudson — total population of 2,584 with 2,364 free whites, 27 free non-white, and 193 slaves — 7% of the population. Kinderhook — total population of 4,666 with 4,027 free whites, 6 free non-whites and 638 slaves — 14% of the population. Rhinebeck — total population of 3,649 with 3,175 free whites, 66 free non-white and 421 slaves — 11% of the population. 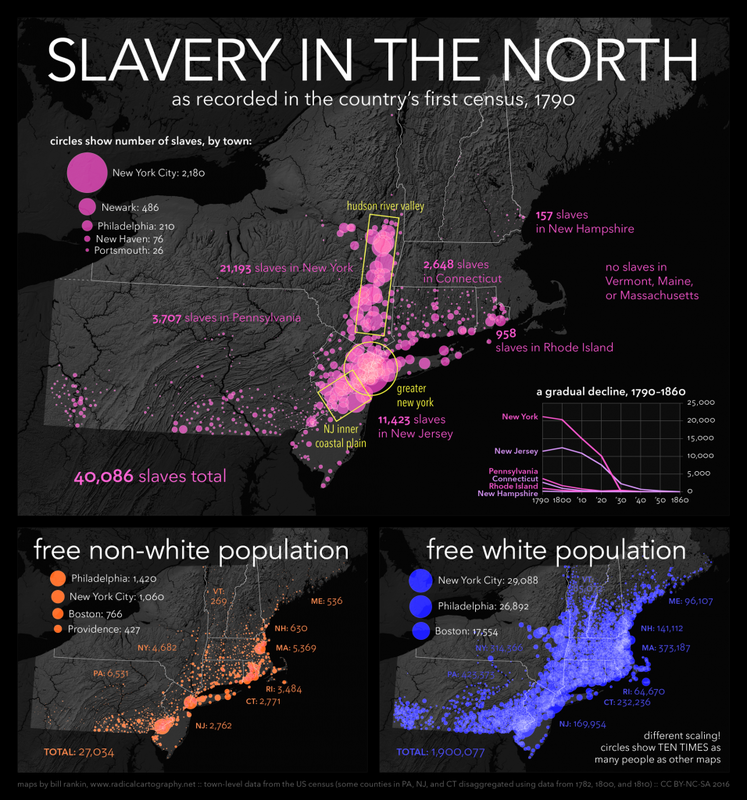 Catskill — total population 1,885 with 1,667 free whites, 8 free non-white and 365 slaves — 15% of the population.